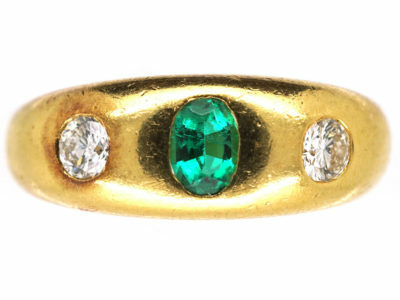 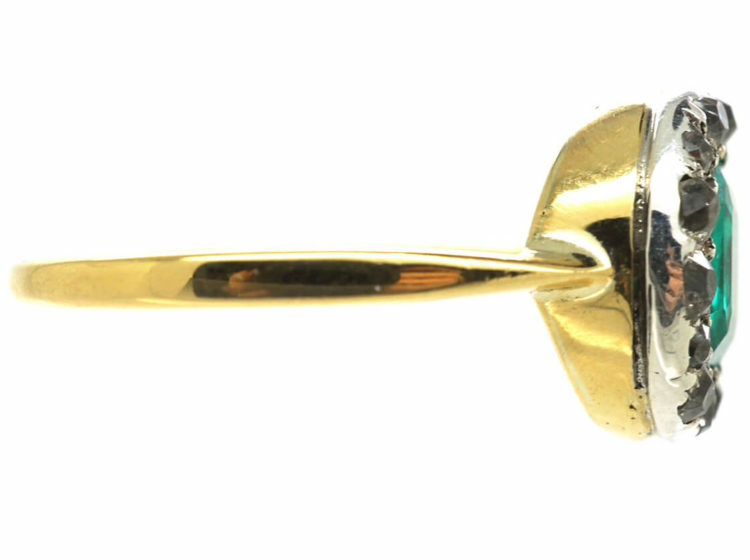 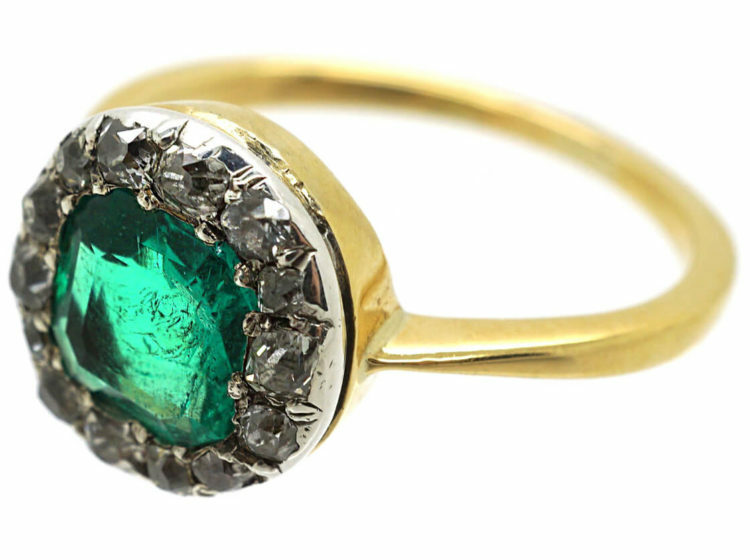 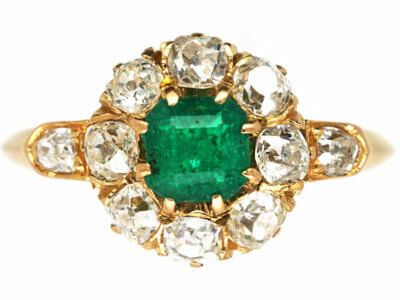 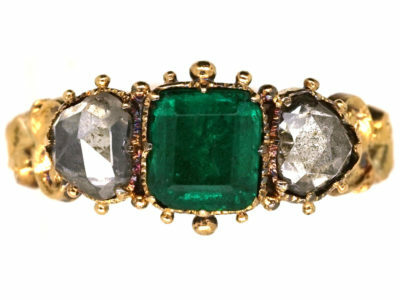 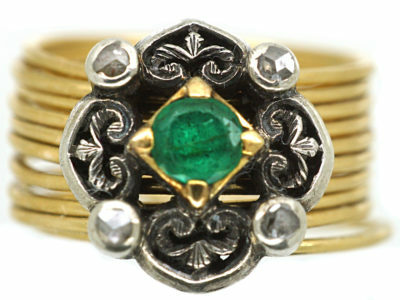 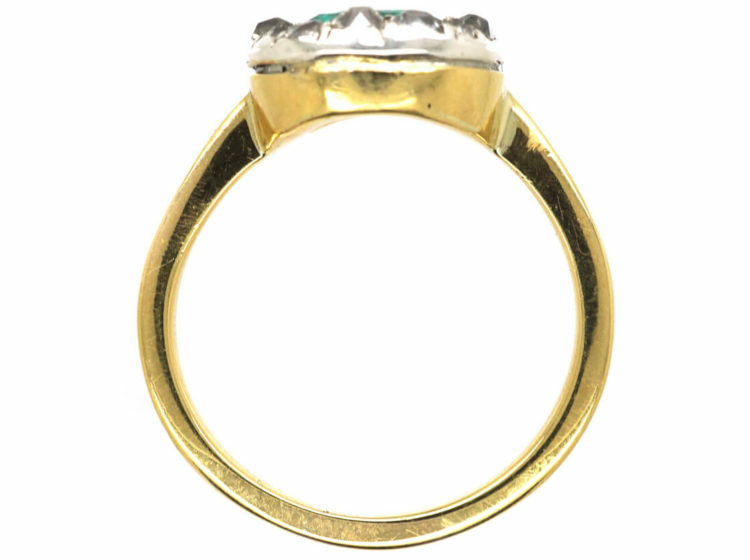 A wonderful 18ct gold ring that was made circa 1880. 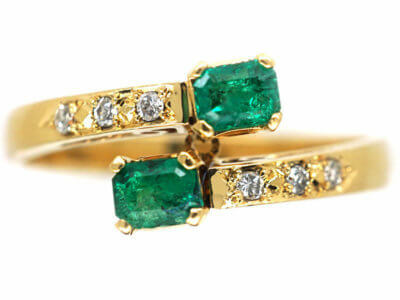 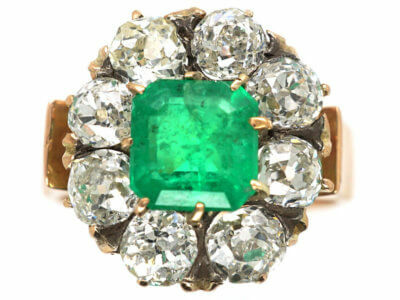 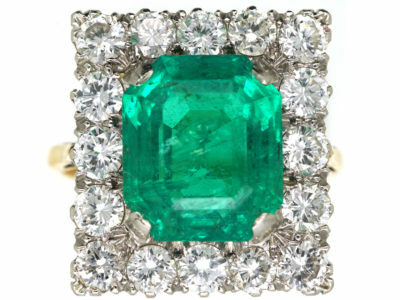 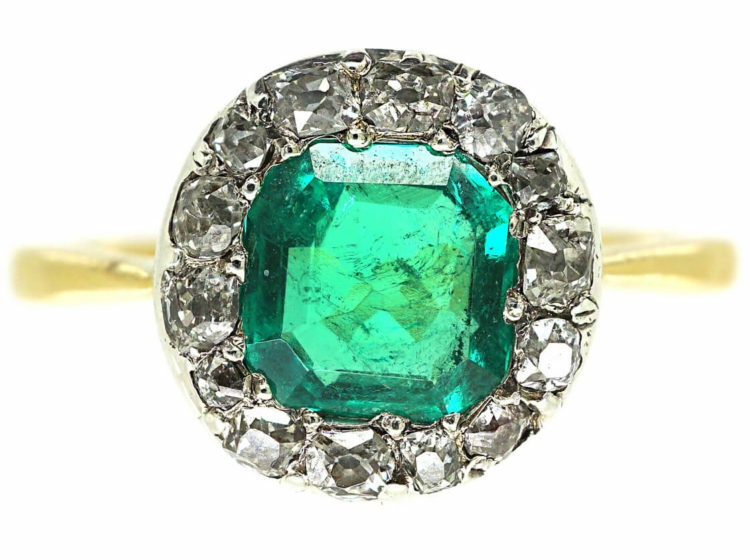 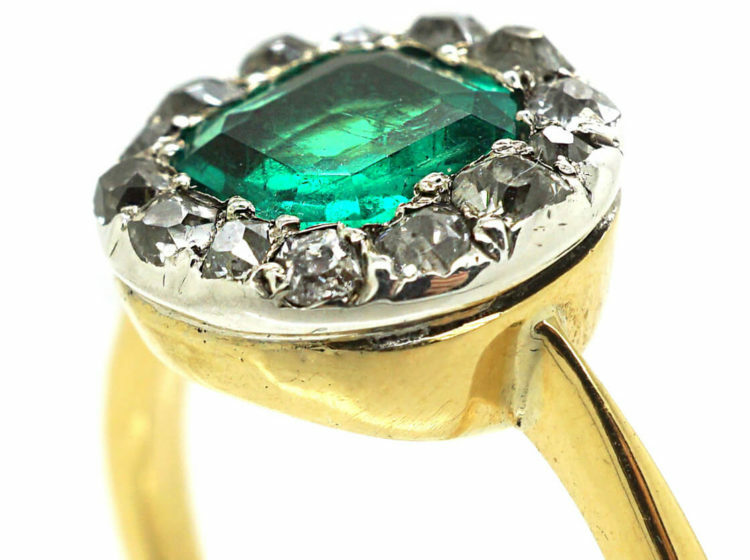 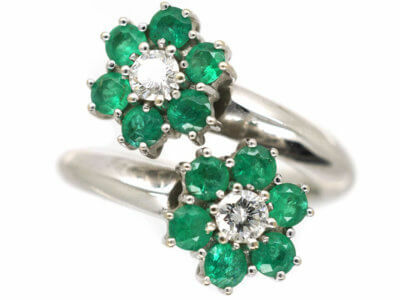 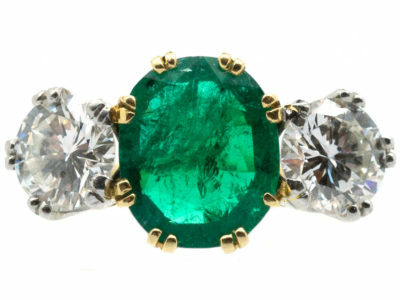 The columbian emerald is a lovely green colour and is a square emerald cut stone. 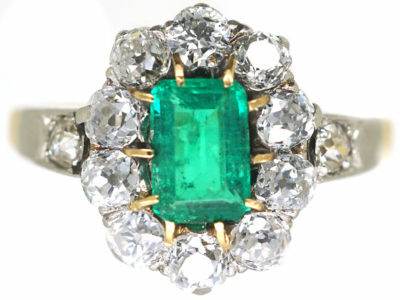 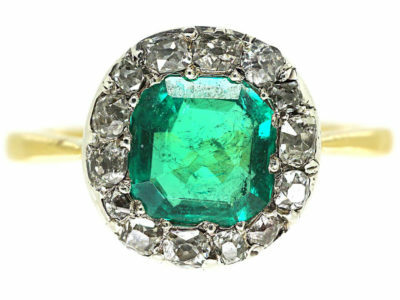 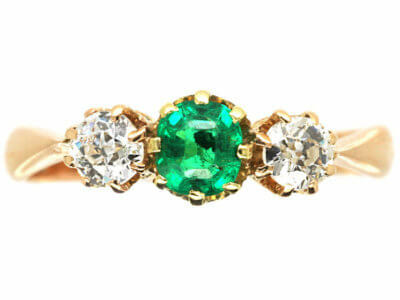 It is surrounded by small old mine cut diamonds that are slightly different sizes which add to the character of the ring. 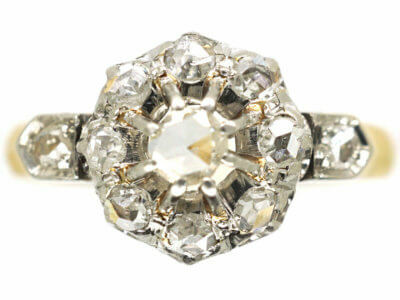 It would make a stunning engagement ring.